Brice Springer spins a two-hitter in a 2-0 win for the Tigers as he outduels Chris Naylor of the Eagles. 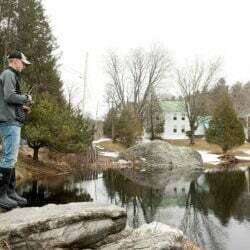 WINDHAM — Biddeford pitcher Brice Springer scrambled off the mound to field a dribbler, straightened and made a less- than-stellar throw to first base. No matter. 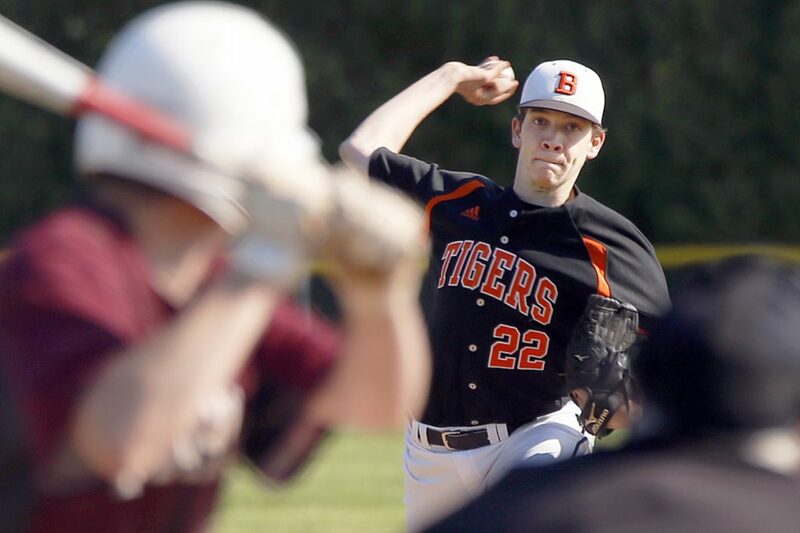 Springer shrugged off the seventh-inning single and retired the final two batters on a foul pop and a strikeout to cap a two-hitter Thursday as the Tigers beat Windham, 2-0. 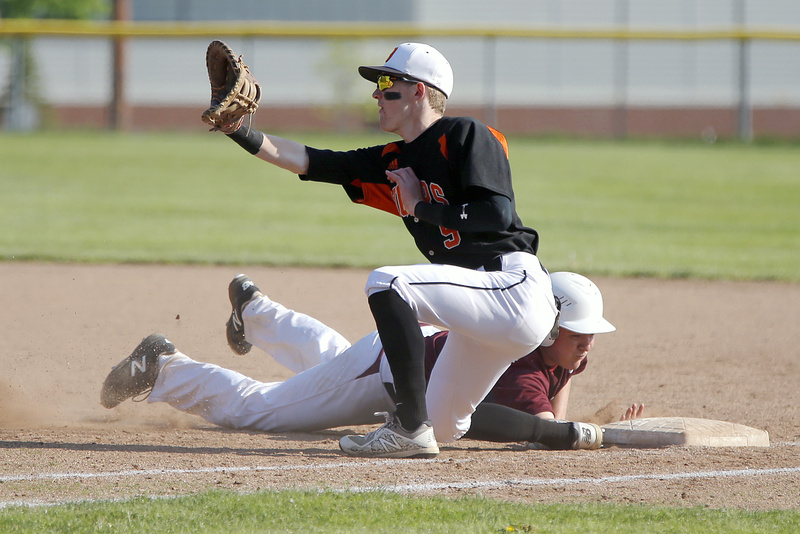 Windham’s Caleb McCartney dives safely back to first base after taking a lead while Biddeford’s Owen Sullivan awaits the throw from pitcher Brice Springer. Springer set down nine of the first 10 batters and allowed only a second-inning single to his counterpart, Chris Naylor, before designated hitter Tanner Bernier’s dribbler doubled Windham’s hit total in the seventh. The Eagles (9-5) never reached second base. Springer struck out five, walked none and faced no more than four batters in any inning. A strong wind blowing in from center field helped both pitchers. 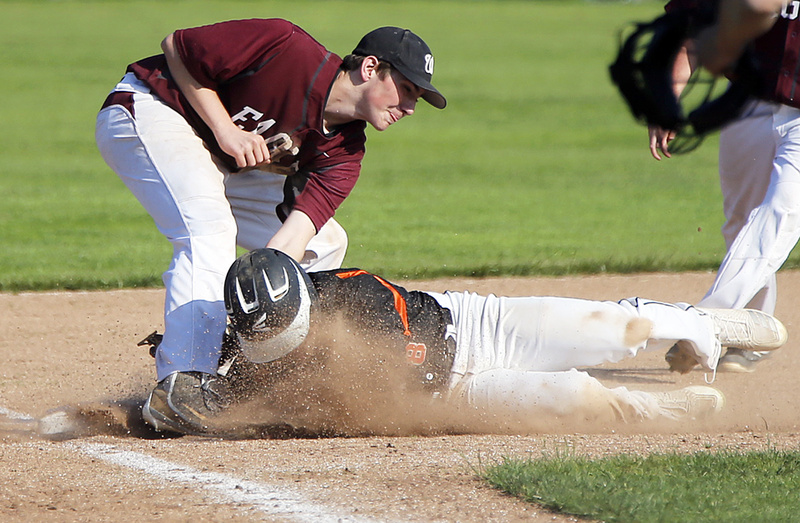 Biddeford’s Evan Paquette is tagged out at third by Windham’s Bryce Afthim. After an unlucky first inning, Naylor buzzed through the Biddeford lineup with help from two double plays. He struck out six, walked one and finished with a six-hitter. Kurtis Edgerton of Biddeford (9-5) led off the game with a sharp single up the middle. Carter Edgerton followed with a hit-and-run chopper toward the vacant spot left by second baseman Kyle Herzig, who had run to cover the bag in anticipation of a throw. Logan Magnant’s sinking liner to center seemed to be caught on a diving attempt by Cam McCartney, but the ball popped loose when McCartney hit the turf. Suddenly Biddeford had the bases loaded and none out. A curveball in the dirt got Taylor a strikeout, but the pitch bounced away as a run scored. Evan Paquette stroked an opposite-field single to make it 2-0. That turned out to be more than enough for Springer (4-3), who lost his last three decisions mainly because the Tigers provided only one run in those starts. 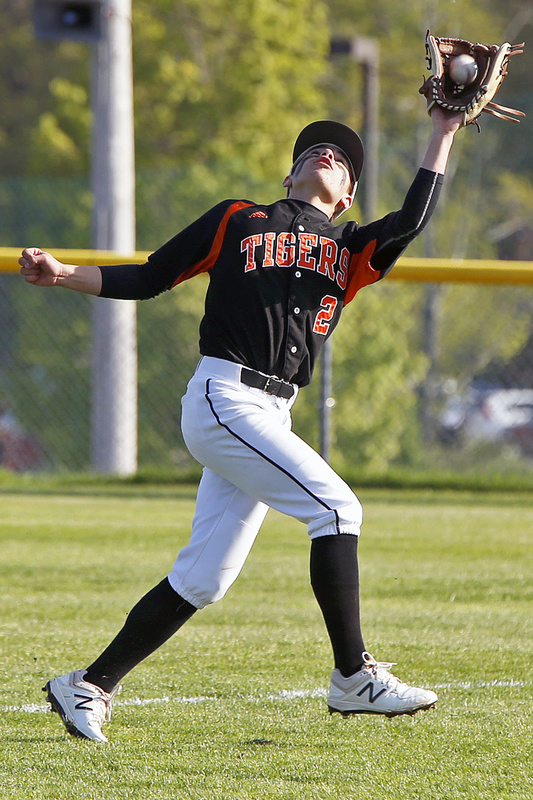 Biddeford’s Ashton Crowell catches a fly ball against Windham. “He could easily be 7-0 if we could score some runs for him,” Leblanc said. Paquette, who singled through the shortstop hole in the fourth, was the only player on either team with two hits. 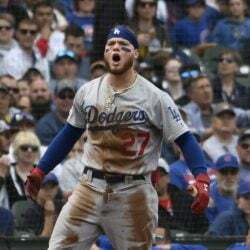 He also made six putouts in center.